Tesla Motors Inc. said Wednesday it sold 9,834 Model S electric cars in the fourth quarter of last year, lower than the number it needed to hit its target of 33,000 units for 2014. Instead the Fremont, California, automaker delivered 31,655 cars last year, up from 22,477 in 2013 but lower than Tesla CEO Elon Musk had said the company would sell in 2014. “About 1,400 vehicles slipped [from] December and were delivered in [the current quarter],” the company said in its letter to shareholders released after markets closed on Wednesday when the company announced its fourth-quarter and full-year earnings. Tesla shares fell nearly 3 percent to $212.80 in after-hours trading in New York as investors digested the numbers. 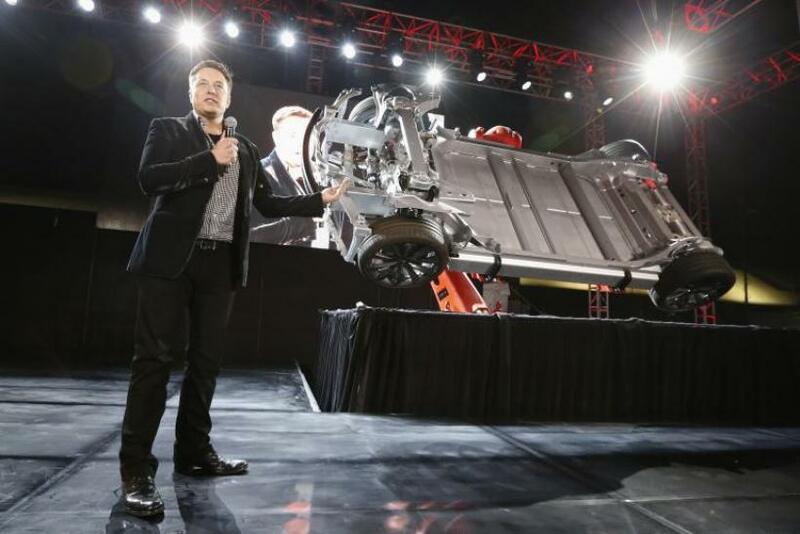 Tesla reported a loss of $16.2 million in the fourth quarter of 2014, or 13 cents a share, on revenue of $1.1 billion. Analysts polled by Thomson Reuters had expected Tesla to make $46 million in net profit, or 2 cents per share, on revenue of $1.23 billion. (The numbers used here are adjusted to exclude one-time charges in the quarter. With one-time charges the losses are bigger.) In the fourth quarter of 2013, the company reported an adjusted gain of $45.9 million, or 33 cents per share, on revenue of $761.3 million. For the year, Tesla reported adjusted net income gain of $20.1 million, or 14 cents per share, on $3.6 billion in revenue. In 2013, the company reported an adjusted net income gain of $103.6 million, or 78 cents per share, on revenue of $2.48 billion. Tesla sales in China haven’t taken off as planned. On Tuesday, Reuters quoted anonymous insiders claiming Musk is prepared to fire overseas executives after the company sold only 120 Tesla Model S cars in China last month. “Despite initial challenges in China, we remain convinced of the vast potential of this market and are concentrating our efforts on the cities we are in currently, before launching into new cities,” the company said in its shareholder letter. Tesla's share price dropped 3.9 percent in after-hours trading, to $212.8, after the disappointing numbers were released. The company’s share price is down 4.36 percent since the start of the year.